Hmmm, pens are normally the domain of school going kids, cheap pens anyways. When it comes to adults, the kind of writing equipment that we purchase tend to border on the expensive, which could run up to the thousands. However, here is something that should be made available only to those who are 18 and above, and yet it does not break the bank at all – the $4.99 Strip Tease Pen: Guys. 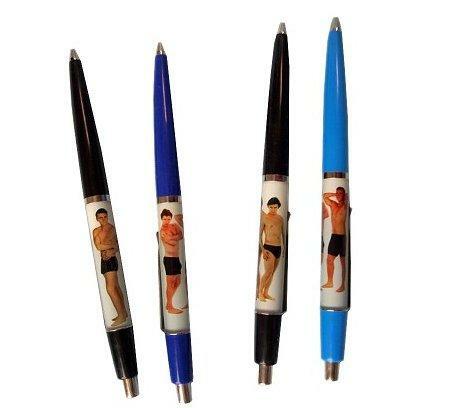 This particular writing instrument will feature a vintage, not-so-gentleman who is wearing some black underwear. This black underwear will no doubt float away whenever you opt to turn the pen upside down, which is hilarious to some. You can choose from black or blue ink, depending on your needs.